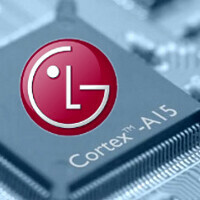 Could the Odin powered LG Liger be the LG G Flex sequel? Back in April, we told you about a mysterious handset called the LG Liger. As it turns out, this could be the codename for a new smartphone being prepped by the manufacturer, powered by LG's own Odin chip. A tweet on Monday states that a handset with the model number LG-F490L, will have the distinction of becoming the first smartphone produced by LG to eat its own home cooking. So what exactly is the LG Liger? Consider that the LG G3 "Prime," rumored to be a Snapdragon 805 powered version of the manufacturer's current flagship Android phone, is believed to be the LG-F460L. That would seem to indicate that based on model number, the Liger would be a top-shelf model powered by a high-end processor. And while we have our thinking caps on, following this line of reasoning brings us to the conclusion that the LG Odin is a high powered chip. LG has confirmed that an LG G Flex 2 will be available during the second half of the year. At the same time, the LG Vu 4 is also expected to see the light of day, some time during the last 6 months of the year. Either one of these models could be the LG Liger LG-F490L, which makes sense. While LG might not have wanted to risk using the Odin for the LG G3, as we told you back in April, it might use its homemade chip on new iterations of the LG G Flex and LG Vu. I hope that the LG Liger would flex more and have a better resolution. Other than that, this might be good (if priced right). Samsung is going to come out with the Tigon now.